We've got all the space of a 80-year-old dairy farm (minus the cows). We've collected some photos from the weddings and other events we've had here. If you want to see it in person, schedule a tour. 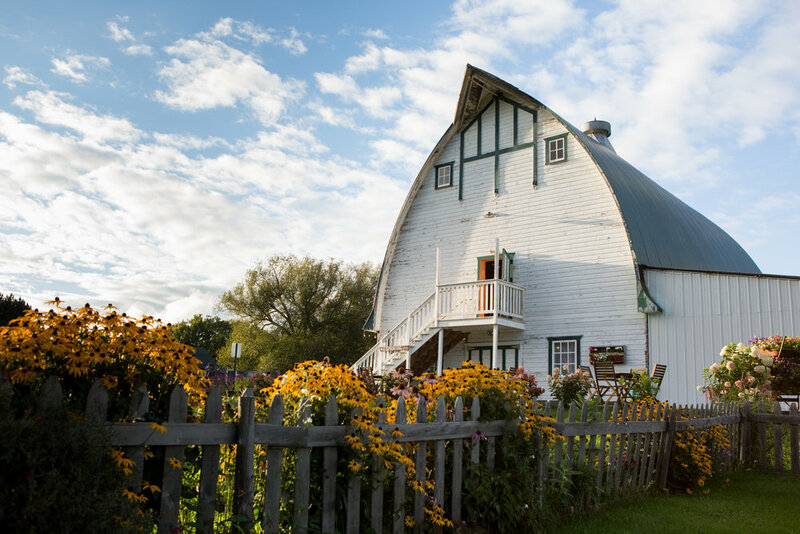 Built in the early 1900s to support the dairy farm on the property, the Barn is an impressive structure. 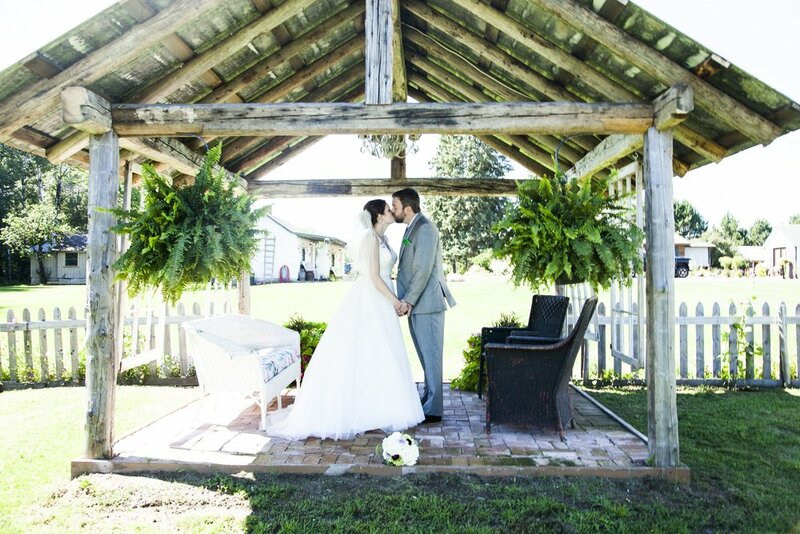 Cleared of stables and hay, the barn has been updated, inspected, and made ready to host your special day. 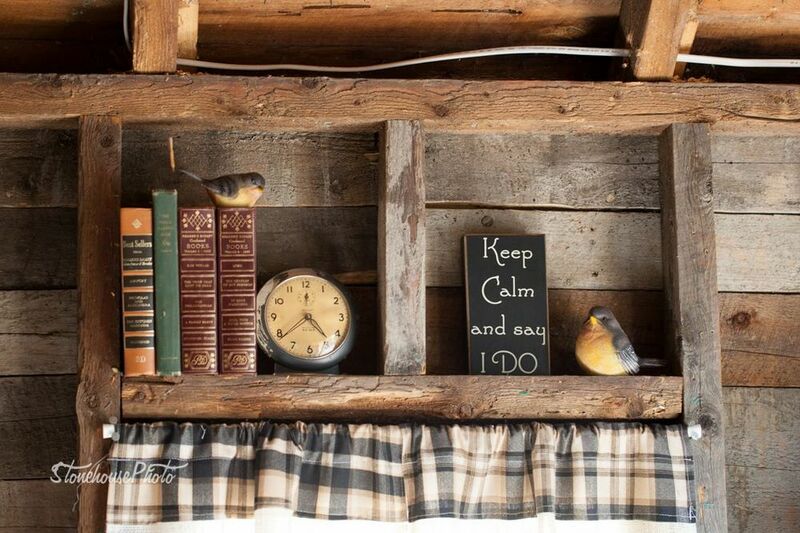 The Barn is two-level and will accommodate nearly 200 dinner guests. The interior dimensions are 49 feet by 31.5 feet. The first floor has a open patio at the front and a roofed, open-air catering area at the back. There are bathrooms located at the side of the Barn under the lean-to. The first floor is also completely handicapped-accessible. The second floor has reinforced hardwood floors for dancing and celebrating, as well as a built-in bar area. There is a porch on the back overlooking the woods and fields. Download our printable barn layout with scaled table cut-outs to help plan your seating layout. Stay with the wedding party, family, or other guests all weekend in the House. This was the first structure built on the property in the late 1800s, and is made of solid, square-log construction that's exposed throughout. It sleeps 10-12 and has 2 bathrooms, a fully stocked kitchen, 3 outdoor porches, and a wrap-around four season porch. The Cottage is a one-bedroom house with a full kitchen and bathroom. 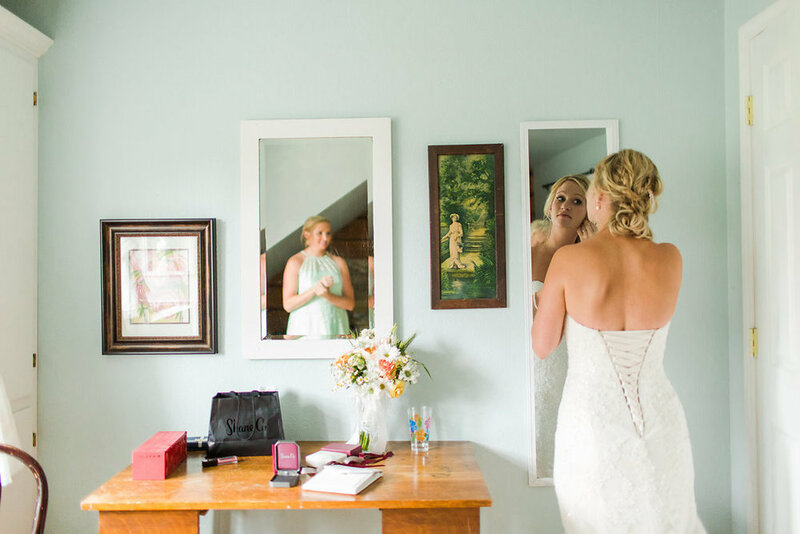 There is plenty of space for the bride or other guests to prepare for the event. The Cottage is against the tree line, offering beautiful views and privacy for couples. 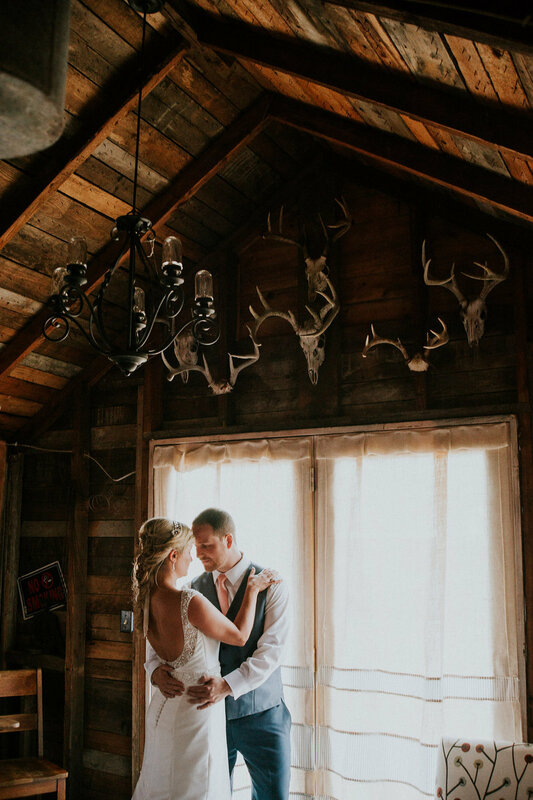 The Milkhouse was once part of the dairy farming operation, but now is a cozy area for one half of the wedding party to prepare for the ceremony. There are plenty of chairs and a mini-fridge for a casual, private gathering place. 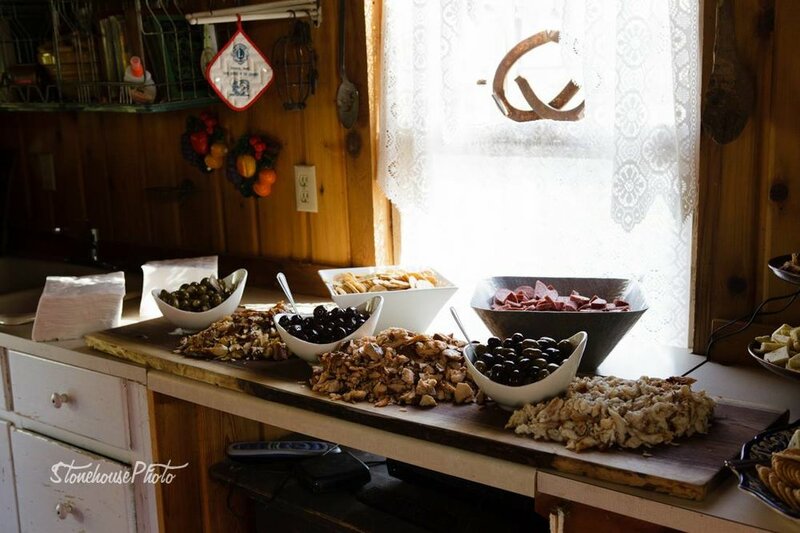 The Summer Kitchen has had a colorful history as a early post office, bar, and church. It was moved log-by-log from its original home by Jill and her son Ben and hosts a charming collection of antiques. 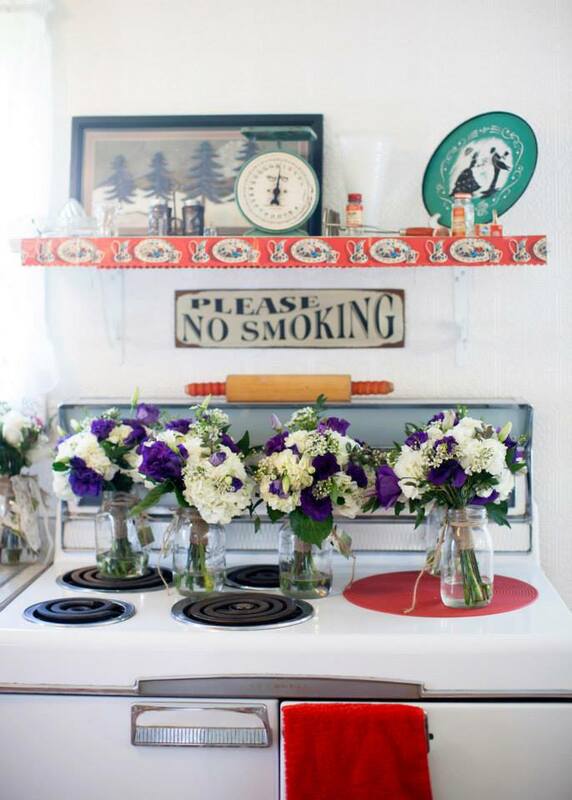 It now serves as a summer kitchen equipped with a refrigerator and variety of counters and tables to stage catered food from tea parties to rehearsal dinners. The willow tree is what started it all. 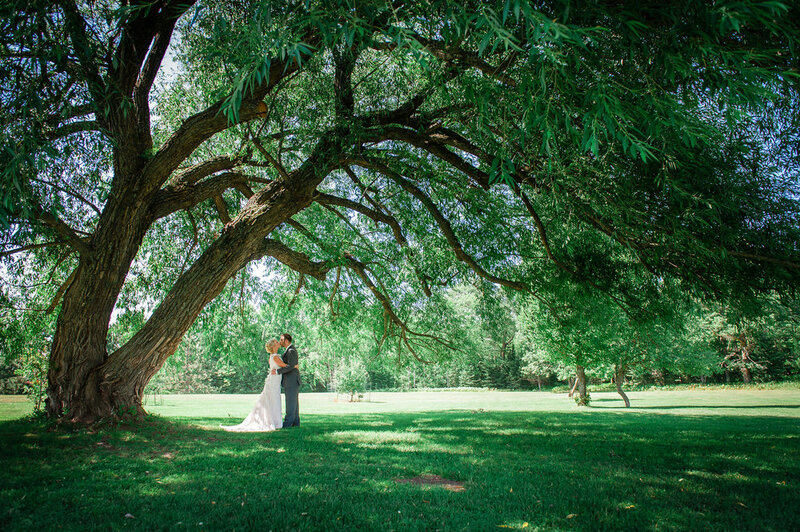 Jill and Kirk's daughter, Amanda, grew up climbing this giant willow and dreaming of getting married under its canopy. The willow stands as a symbol of marriage all over the world due to its unique balance of strength and flexibility that allow it to stand for decades. Our willow tree is close to 100 years old and has weathered many storms. It's still the most popular site for wedding ceremonies and offers both full sun or full shade, depending on how you set up seating. The view from the main yard over the meadow and to the pond and far treeline was just too beautiful to waste, so one of our first projects was adding a gazebo overlooking the view. Almost everything in the gazebo is recycled, including the roof, which comes from Jill's dad's barn. This site is good for spring and fall ceremonies, as seating is in full sun. New in 2017, the Oaks is a shaded area along the northern treeline. Two large oaks create a huge frame against the front of the ceremony area, along with the rock pile and connifers. The front is paved in slices from our willow tree with blooming moss growing between the cracks. The light filters golden through the trees right around the typical ceremony time, and most of the seating is in shade. When she's not running the business, Jill can be found in the garden. Her love for plants and the cultivation of her ponds and garden beds started long before she even thought of starting a wedding business. There are three ponds with waterfalls, fish, water lilies, and flowers throughout the wedding season. 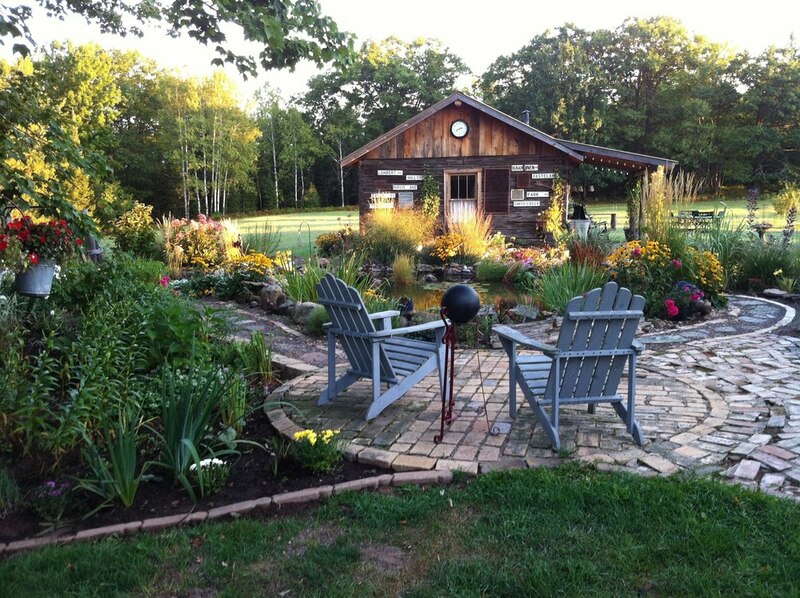 Take a look at the Brule River Barn Facebook or Instagram pages for recent photos of the grounds.